Gabriel Alexander Vela, a 26-year- old model from Cancun, Mexico, won the Mister Global Mexico 2017 title on April 3. 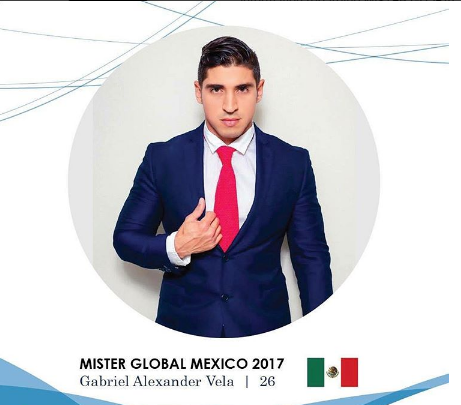 This is the first time Mexico will participate in the Mister Global pageant and it is also Gabriel’s first trip to Asia. He expects to perform well for Mexico at the Mister Global Pageant.